When we need an impromptu or last minute gift, our first thought always seems to be a bouquet. 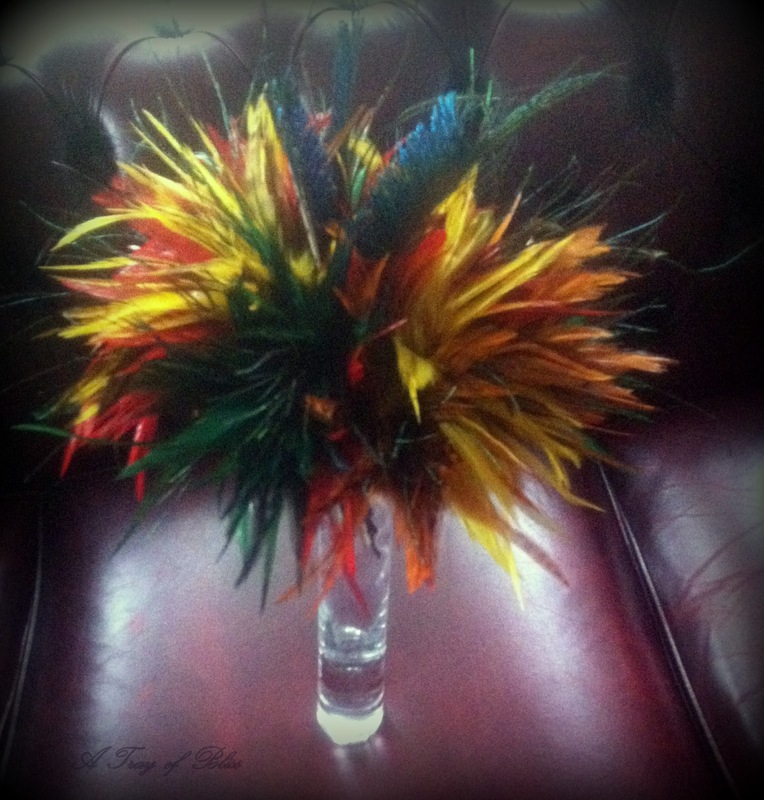 But a 'bouquet' can be many things as you see by my Feather bouquet pictured here! This one was made by simply winding pre-wired sprays of pastel feathers together, and binding the handle with double satin ribbon. 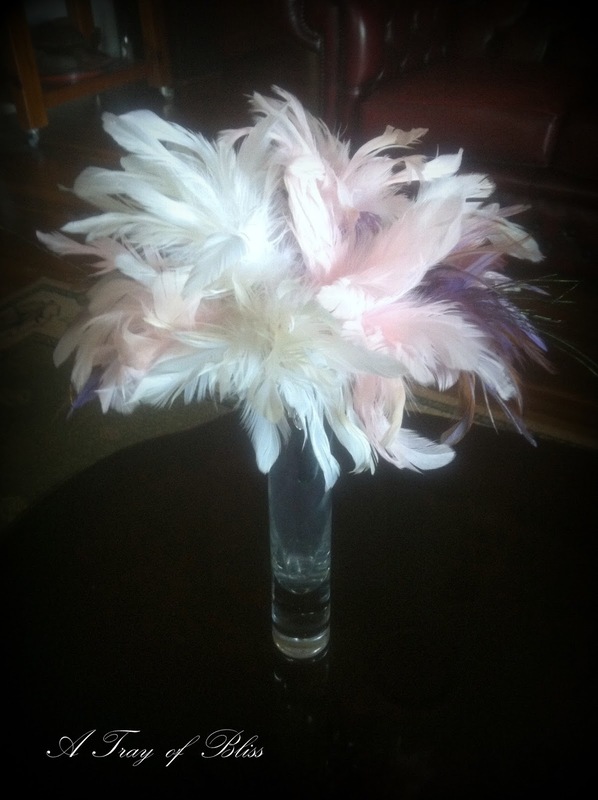 It was graciously received by a favorite dance teacher who has a particular passion for feathers. Total cost was about $15. A similar one made professionally, would have been over $100. I love a good bouquet, both for giving and receiving, but they do get gosh darned expensive if you frequent the florists for the privilege. Mind you, I do understand the time, energy and effort involved. I'm not saying that a good florist isn't worth their weight in gold. But for everyday giving, home made can be a life saver. The less structured wildflower look is in vogue at the moment, and that enables you to gift many a pretty bouquet for far less than you might imagine. This one below, is simply a selection of Lisianthus, and other inexpensive purpley things, trimmed and popped into an oversized ginger jar, sourced for just $10 (and re-useable! ), embellished with a lavish silk ribbon and wrapped in cellophane which the wholesale florist sold me for $2. Total cost $30. You can't tell from this photo, but this arrangement was over 60cms (24 inches) tall and looked very impressive! Similar to the first feather bouquet at the top of this post, I've made mini bouquets from the same sprays of feathers, and called them miniature feather dusters, gifting them to use for desks and cars to friends for Christmas last year. They too, were a big hit! Here's a larger version of that idea, again, a gift to a creative friend. This one was huge, as you can tell if you compare it to my lounge cushion beneath it, and was very well received. These feather sprays were sourced online, and purchased for 15 for $2. That's fifteen pre-wired sprays of feathers, for $2. That makes the price of the miniature dusters about -65c, and this bouquet above, under $10! It pays to keep your eyes peeled for these little bargains, even if you don't know how you'll use them! 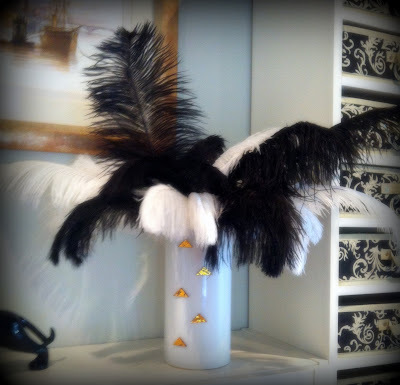 This lavish ostrich feather arrangement is one I did for my home office. Again, a bargain from Feather.com, the black and white ostrich plumes were on sale for just $20. I love them waving elegantly next to me, and they have made me smile for over three years now. 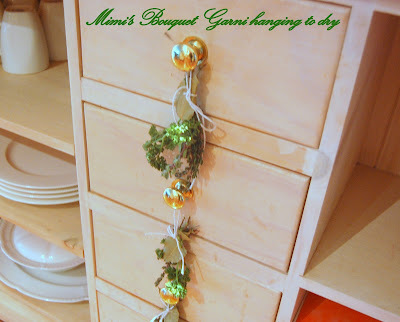 Annabel over at The Bluebirds are Nesting reminded me with her Christmas Challenge post this morning, that Bouquet Garni are another wonderful 'bouquet' to gift. 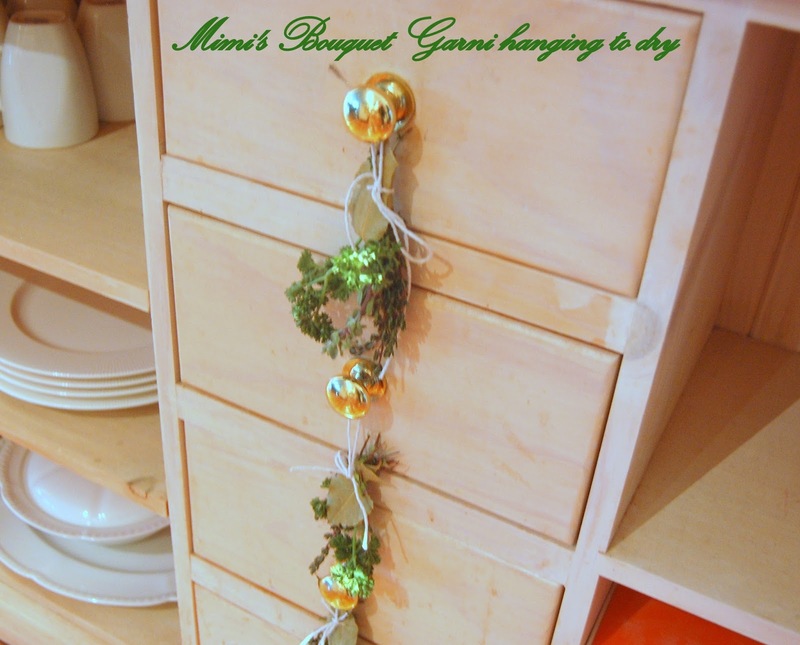 These little bundles of dried herbs from my own garden, have graced many a hamper basket, and add scent and texture that can't help but make you smile. And finally, who can resist a bouquet of lavender. I dry these and use them in potpourri, bath soak, and as gift toppers. I adore my French Lavender and it grows like a wild thing here. Do some research and you'll probably find a variety that grows well where you live too. My love of 'bouquets' of all kinds, saves me many hundreds of dollars every year. Just in the last three months, I've gifted bouquets that, had they been purchased at a florist or even a supermarket, would have relieved my bank account of over $1000. Instead, I've spent perhaps $150, and been in a position to bless many friends, teachers and family members with all kinds of pretty bouquets. 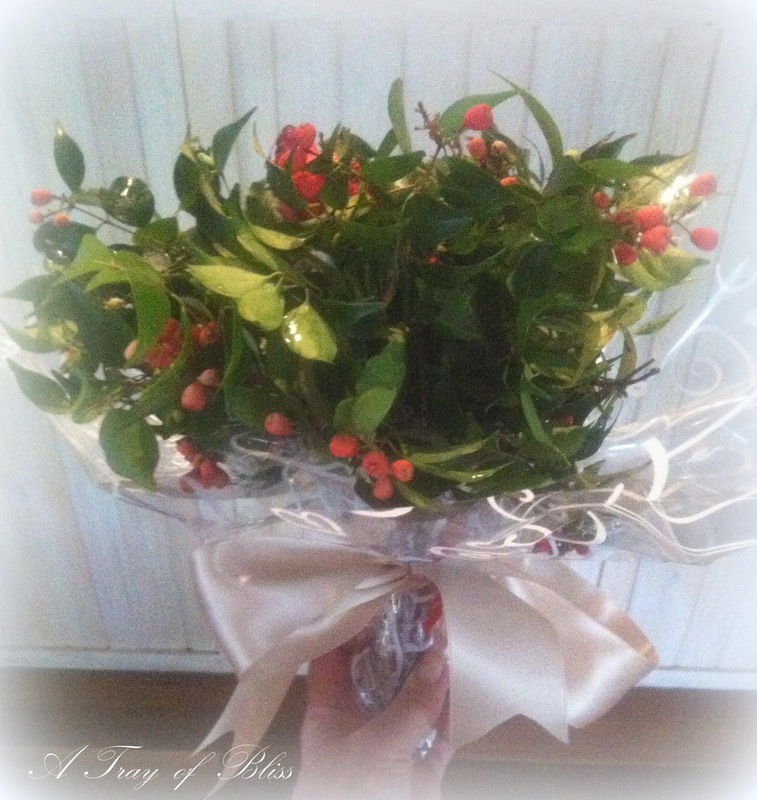 Do you gift bouquets? What are your favorites? I love your feather bouquets! What a brilliant idea! I'll bet my daughter's friends would love to receive a feather bouquet as a birthday or graduation gift. Dear Mimi, I was reading this thinking you read my mind as only yesterday I mentioned you and your beautiful bouquets! And your use of foliage too. Heaven forbid what the ones with feathers would be in the shops but I know the prices of floral ones and they are so expensive. I have to go for casual bunches and masses to compensate for not very good arranging skills... but abundance and a good bow seem to be fine and so I would say to anyone with flowers in the garden etc that they should worry about being perfect just be generous and the bouquet will be stunning. Thanks for the creative ideas, Mimi. Your bouquets would have been warmly received I dare say. Sweet friend, you are incredibly clever! 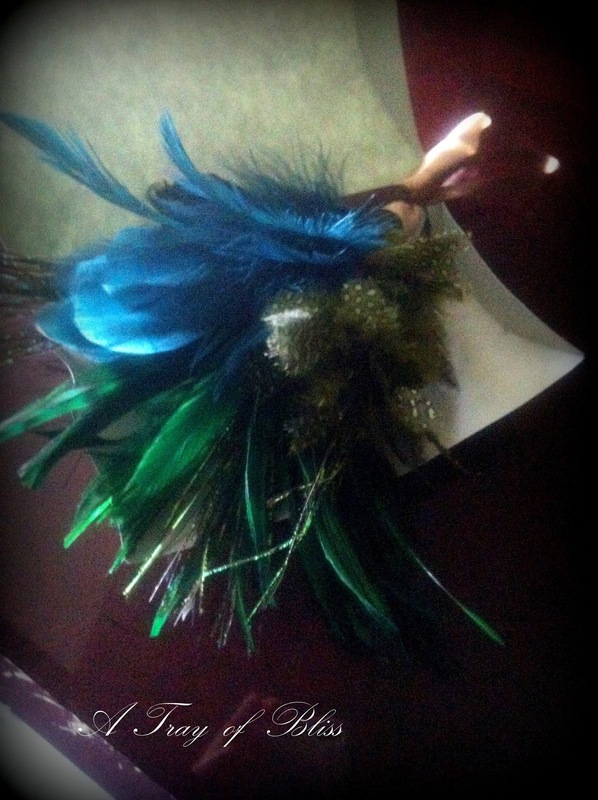 I just love the use of feather for bouquets. Thinking of you, precious Mimi. Love and hugs!